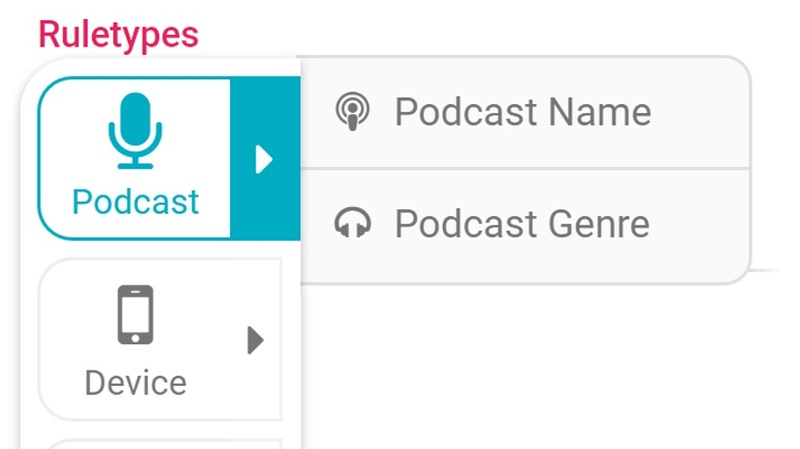 London, 5th April 2019: A Million Ads, the personalization experts, today announces the launch of Studio:Podcast, a targeted release of their world-leading dynamic audio personalization tool, built specially for podcast advertisers. Studio:Podcast enables brands and advertisers to create dynamic and personalized digital audio adverts that are delivered to users while they listen to their favorite podcasts. Podcasting is rapidly gaining traction with listeners and therefore getting more attention from advertisers. The environment for advertising in podcasts, however, is different to other forms of entertainment – it is more intimate and personal, and often consumed with headphones – so the majority of today’s podcast ads are delivered via host-read sponsorships, which take advantage of the unique relationship between the listener and host. The latest offering from A Million Ads, Studio:Podcast, combines the scale of broadcast adverts with the intimacy and effectiveness of host-read sponsorships by contextualizing the creative with the name, genre or category of the podcast, the type of device the listener is using, their location and how many times they have heard the message. This brings scale and efficiency to the creative process, and results in better performing, more effective campaigns. Over the past few months, Acast, the world’s largest podcast company, has been pioneering the use of Studio:Podcast as the first pilot partner, running campaigns for iD:Mobile and Natwest in the UK. Acast has over 100 million listeners now tuning into podcasts each month and recent research revealed that podcast listeners are consuming more than 3.5 hours of shows a week*, which opens up a vast opportunity for brands to monetize through this route to market.